The Green Bay Packers decided to put rookie defensive back Kevin King on season-ending injured reserve on Wednesday. 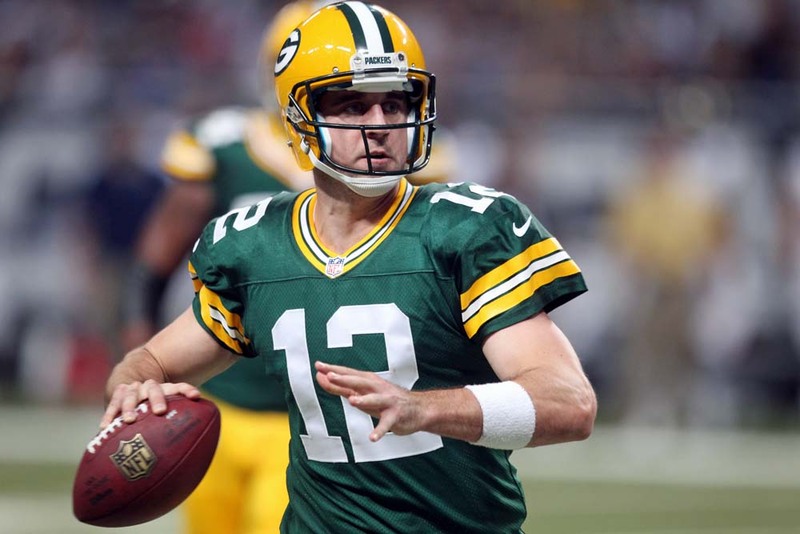 King has been dealing with an injured shoulder all season and the Packers decided to shut him down instead of making the situation even worse. The Packers activated Demetri Goodson from the physically unable to perform list, although he didn’t practice Wednesday because of a hamstring injury. It’s not certain if he’ll play on Sunday against the Cleveland Browns. The Packers were also without starting corner Davon House, who injured his left shoulder in the overtime win over Tampa Bay. If House can’t play, the Packers would have to go with Damarious Randall and most likely Josh Hawkins as their starters against the Browns. The Packers secondary will have to contend with Cleveland receiver Josh Gordon, who just returned to action last week after a three-year absence due to multiple violations of the substance abuse policy. The Browns targeted Gordon 11 times last week. he caught four passes for 85 yards. The Packers are practicing in pads on Thursday. 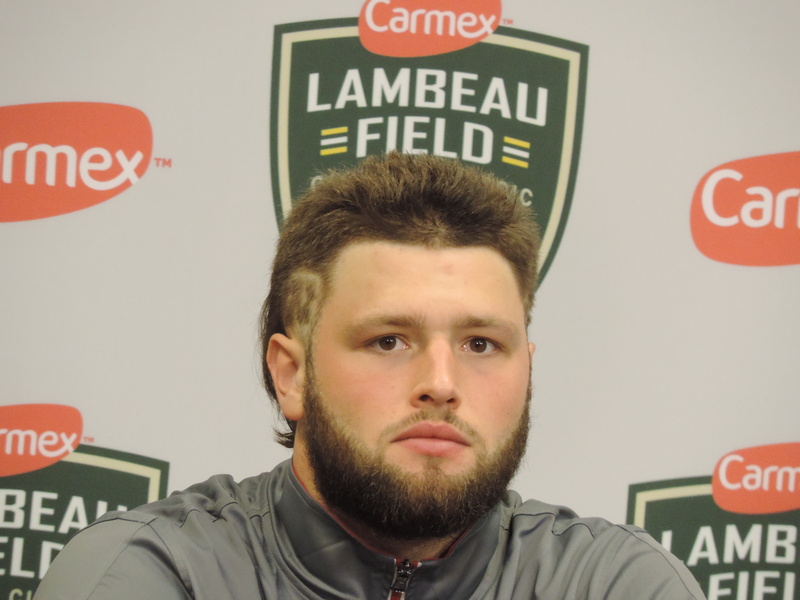 Former Wisconsin Badger outside linebacker Vince Biegel has started training camp with the Green Bay Packers on their Physically Unable to Perform (PUP) list. The rookie fourth round pick is joined by cornerback Demetri Godson. Biegel underwent surgery on his right foot in May, shortly after the rookie mini-camp. It’s the same injury that kept him out of 2-games with the Badgers last season. He’s expected to miss a couple of weeks of training camp. Goodson blew out his knee in a game last November and isn’t ready after undergoing surgery. 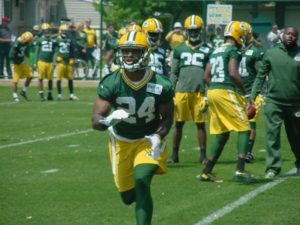 The Green Bay Packers are without another defensive back. Demetri Goodson didn’t practice Wednesday and was listed on the injury report with a concussion. 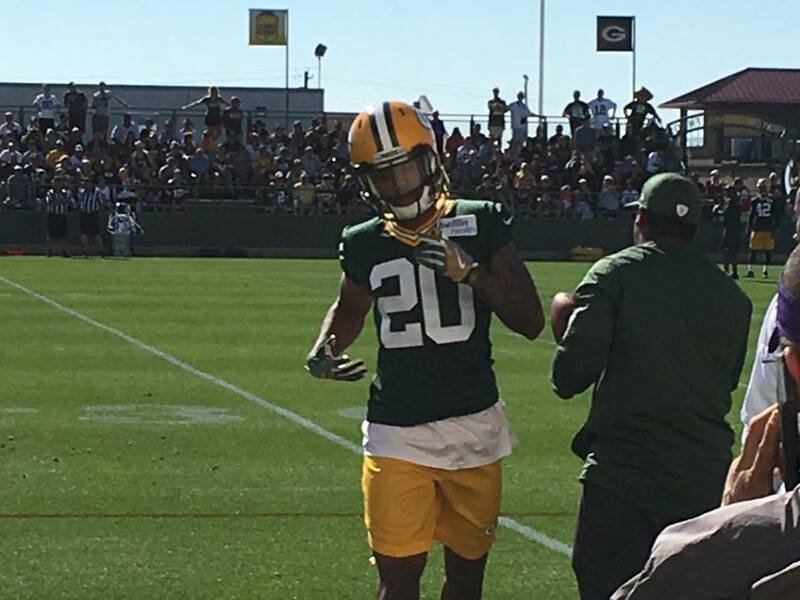 Goodson joins Sam Shields, Damarious Randall, Quinten Rollins and Josh Hawkins, all who have lost time to injury. Rollins returned to practice on Wednesday but was limited. He’s already missed three games and there’s no guarantee he’ll be ready to play on Sunday against the Indianapolis Colts. 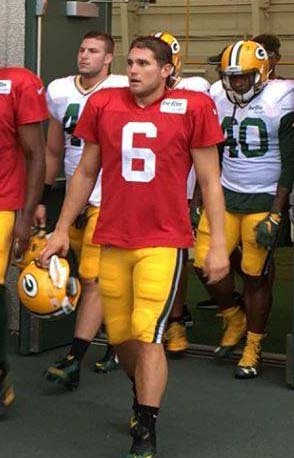 The Green Bay Packers released rookie third string quarterback Joe Callahan today. The Packers needed that roster spot and likely another for defensive end Mike Pennel and cornerback Demetri Goodson who both are coming off of four-game suspensions. 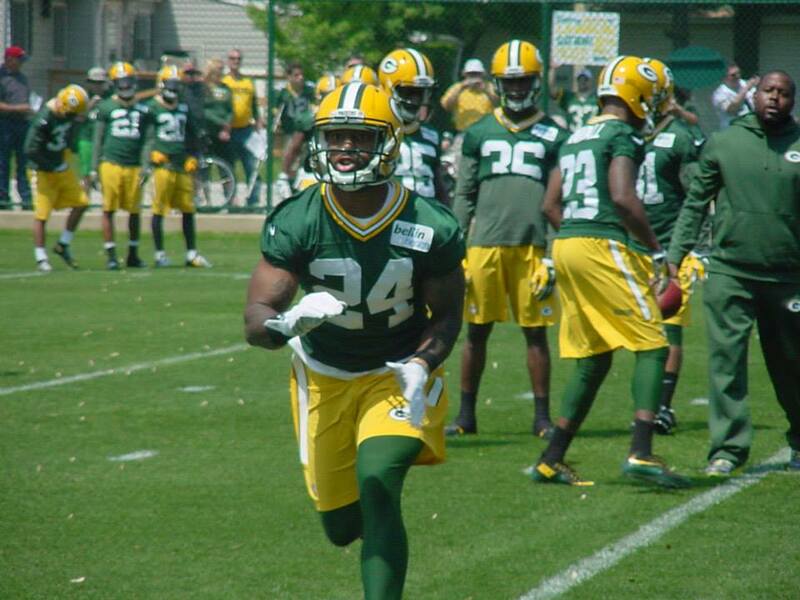 It’s possible the Packers could make a move to sign a running back as well. Callahan made the Packers roster out of training camp and it’s likely he would come back to the teams practice squad if he isn’t claimed off of waivers. 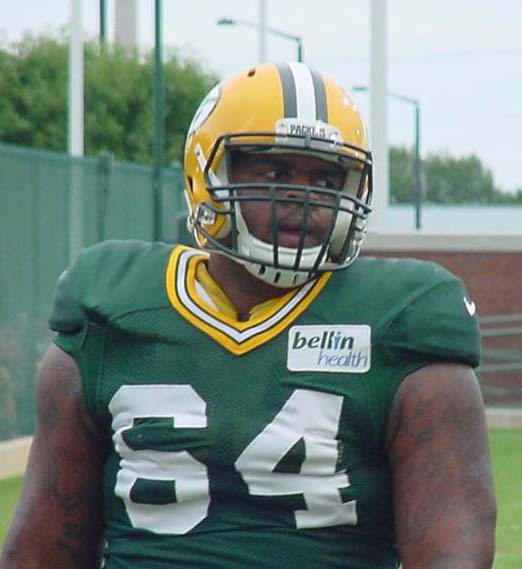 Pennel and Goodson could both help the Packers against the Cowboys on Sunday. Goodson told reporters that he was told he would be activated to the 53-man roster in time for Sunday’s game. Green Bay Packers cornerback Demetri Goodson has been suspended by the NFL without pay for violating the league policy on performance enhancing substances. The NFL made the announcement on Friday. Goodson becomes the second Packers player to be suspended this off-season to be suspended four games. Defensive lineman Mike Pennel was suspended four games back in February for violating the league’s substance abuse policy.